MotionPark is experienced in creating animated content for all kinds for purposes, it can be a commercial, a corporate video or content for an experience in a theme park or museum. We work with different animators in different animation styles. A selection of different styles is showcased below. For different clients we have modeled and animated 3D figures and environments. One example of CGI Animation is the project Volcans Sácres, a dark ride attraction in an educational theme park called Vulcania. The dark ride exists of several scenes containing CGI animation video projections. For one of the scenes we where asked to show the mythical story of the Lengai volcano. In this myth, the surroundings of the Lengai experienced extreme drought, but after a prayer of the Massai people, the volcano erupted and the cloud of ashes turned into cows. We animated the Volcano, the cloud coming from the Lengai and the appearance of the cows. In several other scenes we modelled the giant Bromo volcano, which was projected on a 360 degrees screen, and we created a projection mapping video of collapsing houses in front of Mount Vesuvius. Another type of animation is the graphical style animation, therefore we work with different graphic designers. One example is the pre-show of the dark ride Volcans Sacrés in Vulcania. In the queue, visitors of the attraction can enjoy a total of 10 animations which explains and visualises the myths and legends of volcanoes all around the world. 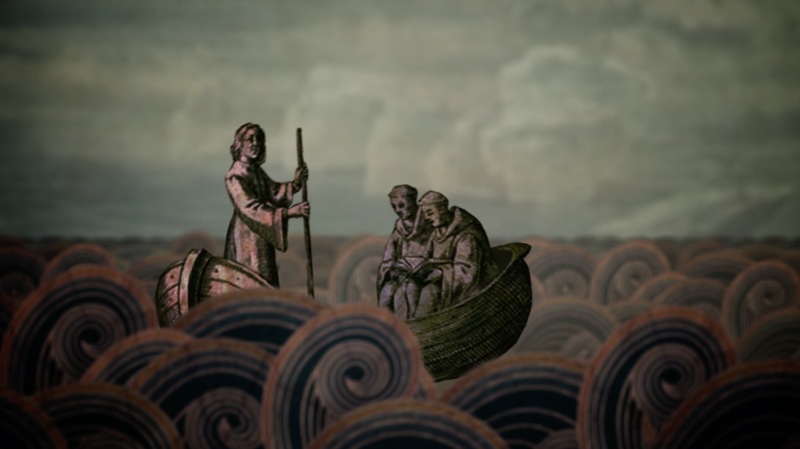 For each animation we used a different graphical style reflecting the culture of the people living around the volcanoes. The third type of animation is hand drawn animation, where we use drawings made by illustrators or artists and bring them to life with our editing equipment. One example of this style is the animation we have made for the Floriade. In this animation we showed how you can plant bulbs, in a humorous way. 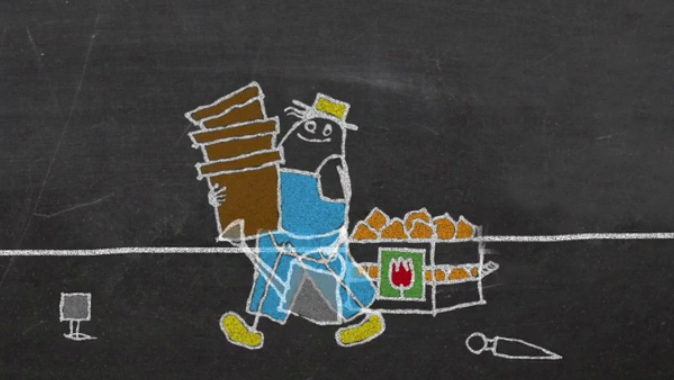 We animated a character and created instructional graphics on a chalkboard background.